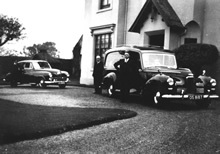 John McNeil Funeral Directors was formed in 1948 when John McNeil Snr acquired the business of the very well known H.P. McLaughan in Hanover St. Stranraer. 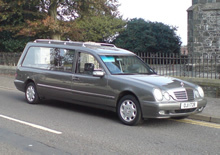 At that time, the funeral directing profession across the country was usually combined with a joinery business and John McNeils was no exception, working for many years as funeral directors and joiners. However as the years passed it became obvious that John McNeils skill in funeral directing were in more and more demand. John McNeil Snr sadly passed away in 1974, when his son John Gordon McNeil took over. He became devoted to his profession and has helped and comforted many families over many years, all the time developing the premises to incorporate all the facilities a modern Funeral Directors should provide including a private chapel of rest. 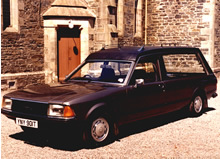 In 1982 John Gordon McNeils eldest son Stuart left school and began his career as an assistant funeral director and like his father, and his father before him, found he had the natural ability to put people at ease and to comfort and speak easily with them at a very difficult time. In 1985 Stuarts younger brother Scott left school and began his apprenticeship in stone masonry after gaining valuable experience in Bath College of Technology. John McNeil built its first purpose built monumental yard which was great for a while however the ever increasing demand for John McNeils services, and memorial work meant we required an even larger workspace and so developed the new workshop in the Industrial Estate, Commerce Road, Stranraer. This gave us a much larger workshop and enabled us to house much more stone masonry equipment, and various types of stone. 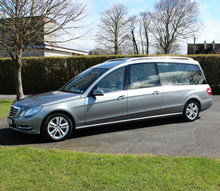 John McNeil Funeral Directors and Monumental Works are a real family business and together with their staff have a very friendly and helpful approach to everything they do.